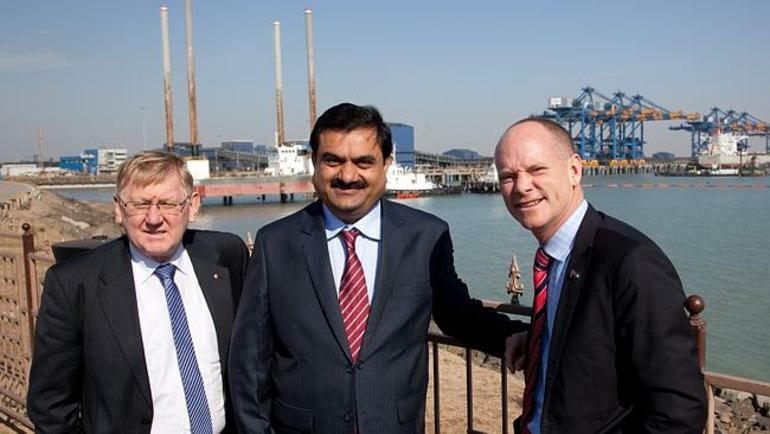 Queensland Premier Campbell Newman has announced he will privatise public assets to help pay for Adani's Abbot Point and Carmichael coal mines. Taxpayer money that would otherwise be spent on public infrastructure like schools and hospitals will now be used as corporate welfare for a mining billionaire. This is a new low for Newman. Newman has been unable to find private investors willing to back Adani's coal projects in the Galilee Basin. That's because investors can see that this coal mine is a lame duck that will be an economic and ecological disaster. The price of coal is falling and these projects will damage the Great Barrier Reef. Most sane people want nothing to do with it. So now, in an act of sheer arrogant lunacy, Newman will use taxpayer money to fund a risky project that might never happen at all. He's destroying the reef on spec. Campbell Newman is putting his friends in the mining industry before the Reef, before our climate and before the Australians he pretends to represent. Don't let him. Can you chip in for a TV ad to let Queensland voters know what Campbell Newman is doing with their money? There's a state election early next year and pollsters say it's too close to call. This is our chance to run a hard-hitting ad campaign to make corruption and protecting our Great Barrier Reef the top priorities of voters when they hits the booths. Can you help fund a TV ad to be shown in key marginal electorates in the lead up to the election?